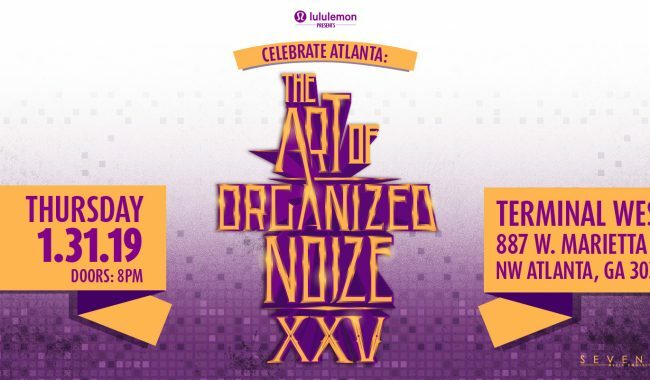 lululemon and Organized Noize announce the culmination event for its lululemon Celebrate Atlanta Block Parties with The Art of Organized Noize XXV Concert on January 31, 2018 @ 8PM @ Terminal West (877 W. Marietta St. NW, ATL). lululemon began it’s partnership with Organized Noize in 2017 with its “This Is Yoga” campaign, which worked to inspire customers to find their Yoga. With the Super Bowl Concert, Organized Noize with lululemon will offer a night of music which includes a performance by Organized Noize’s Sleepy Brown, a DJ set by the trio’s Ray Murray and performances by surprise guests that are directly affiliated with the Grammy Award Winning production team.